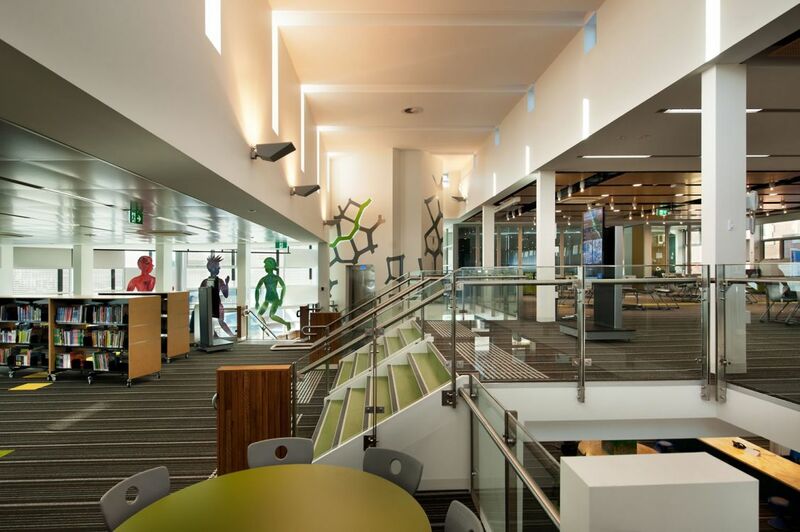 The two storey, four split level state of the art Resource Centre includes an IT Centre with staff offices, student run “Genius Bar” offering student technology support along with 4 major collaborative learning zones. 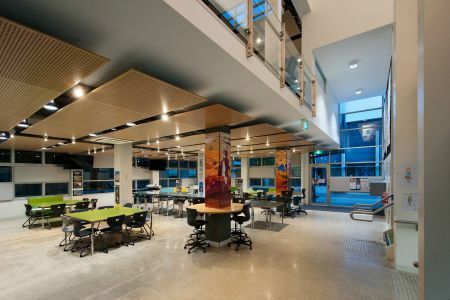 A cafe and coffee bar run by students with an allocated food appropriate learning area. The 4th level covered link to existing learning facilities provides multiple access points for students and teachers. Accessible lift and multiple staircases provide continuous flow and general ease of use between spaces. 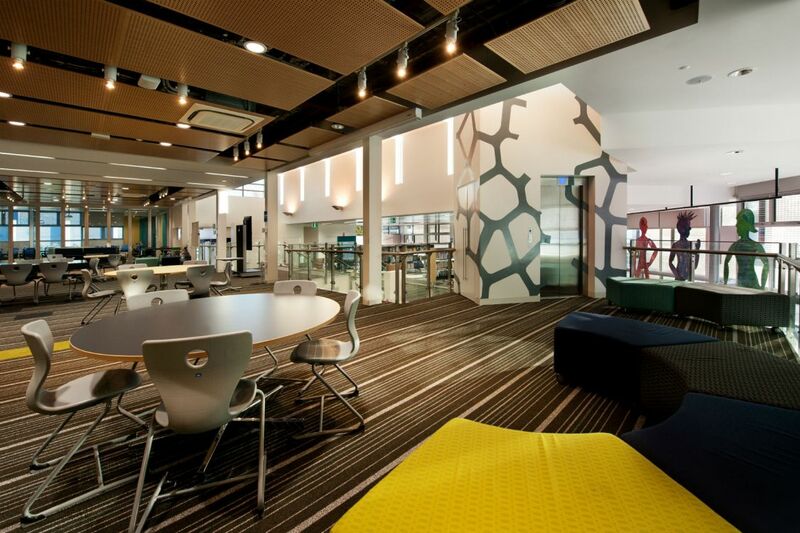 Four operable meeting areas complete this facility, with access to a central landscaped courtyard. 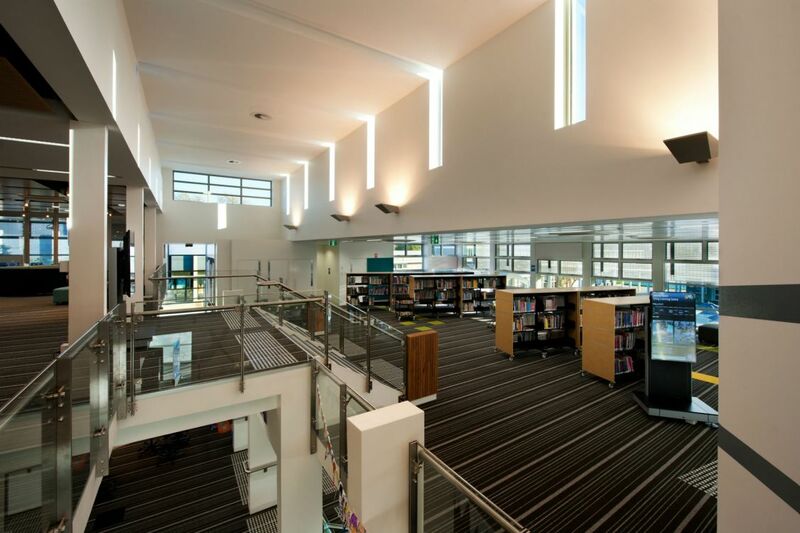 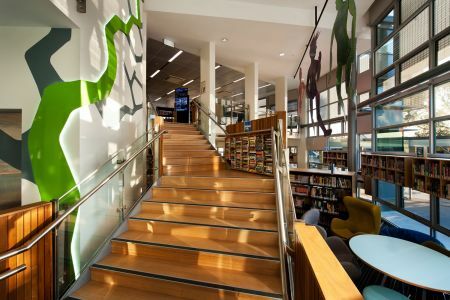 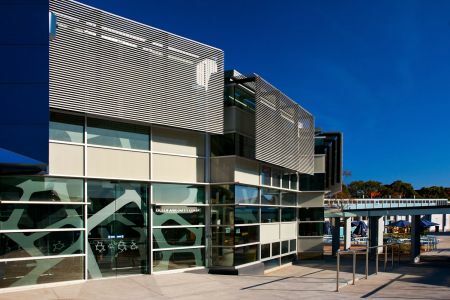 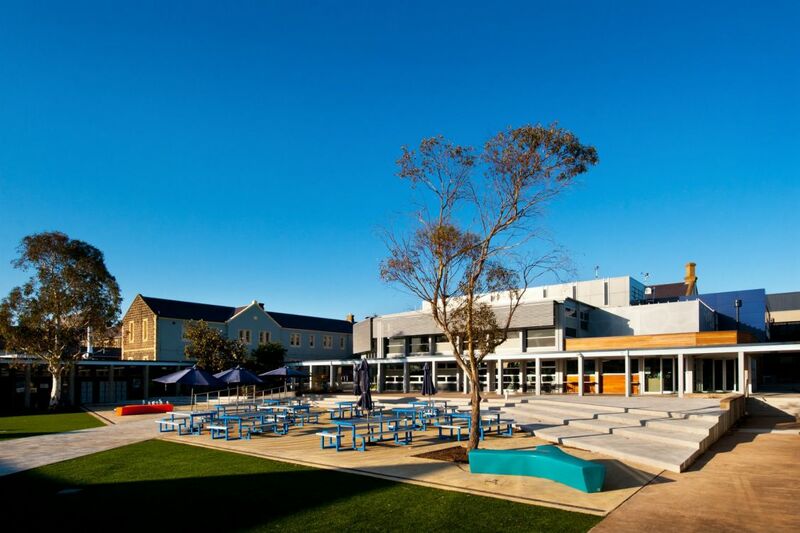 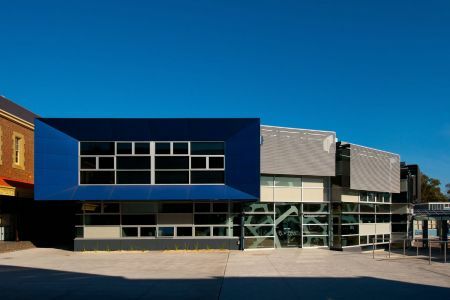 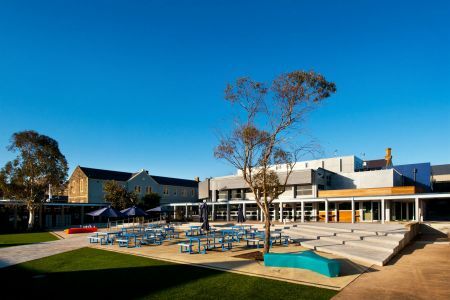 The Resource Centre employs environmentally sustainable design techniques with the use of rainwater tanks, double glazed spandrel panels, recycled materials and appropriate fittings and finishes.